AVAILABILITY JULY 14 - 24 & AUGUST 31 - OCTOBER 3 @ €490 Weekly / €70 nightly during July & August after September 09 €390 Weekly / €56 nightly. 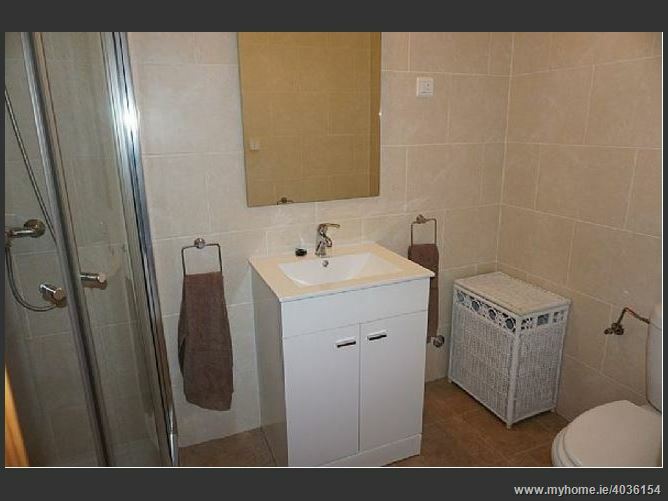 A well furnished one bedroom property (occupancy is 2 persons) with beautiful mountain views conveniently located close to the main road, and within walking distance to two of Nerjas largest supermarkets and sporting facilities. 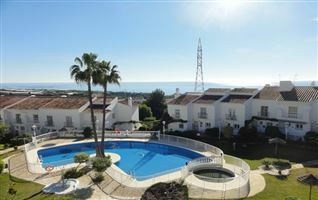 The urbanisation comprises of a large communal pool with lawned area. 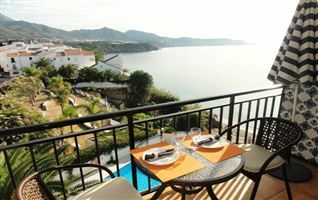 Burriana beach is within walking distance. 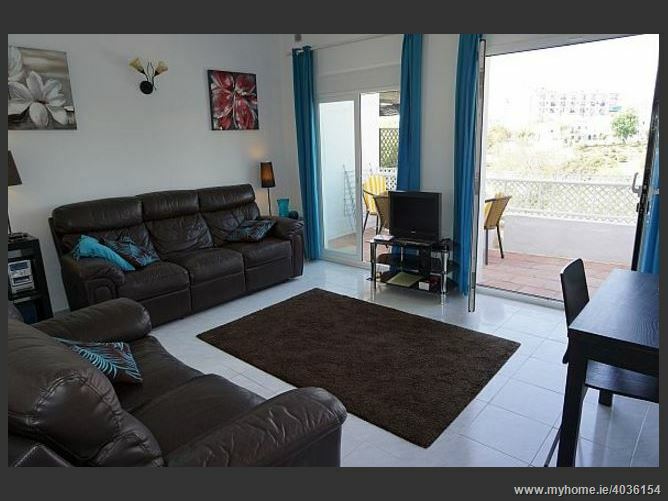 Air conditioning and high speed internet is included in the rental price. 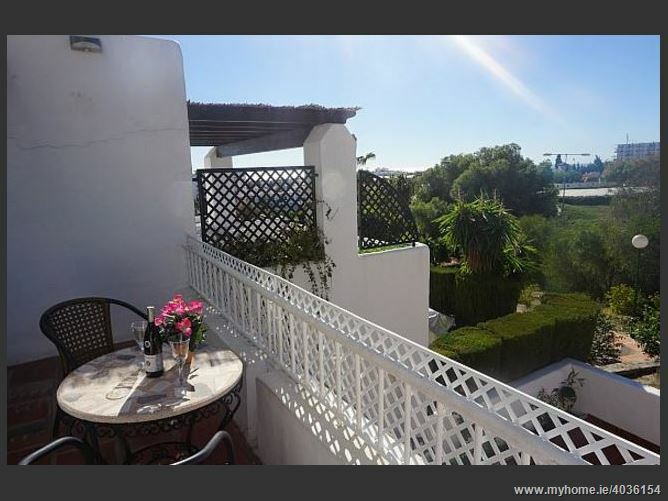 The apartment is set in a beautifully maintained urbanisation, with its own small private terrace, not far from the center of Nerja and Burriana beach. 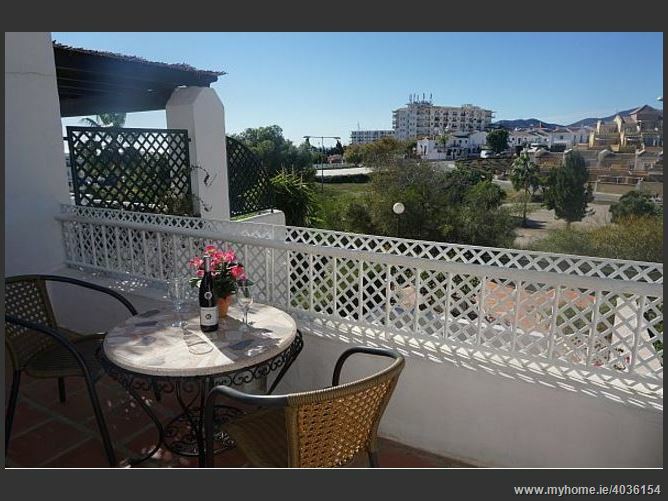 The property is ideal for couples who want to stay just outside the center of Nerja, close to supermarkets, and don’t mind a walk to the beach or the center of town. There is street parking at the entrance of the urbanisation. 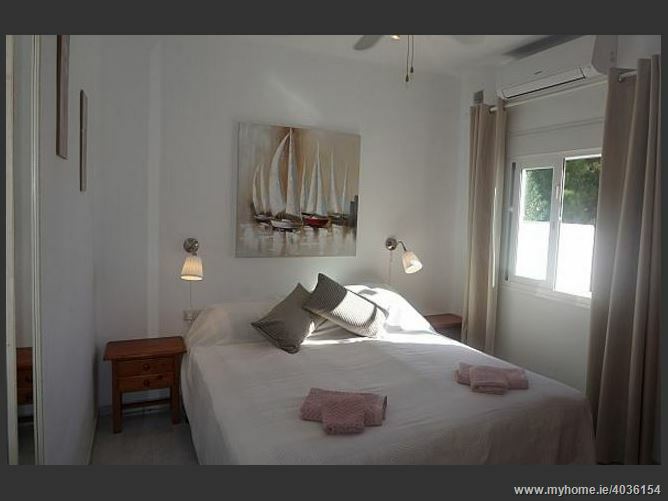 Air conditioning & high speed internet included in the rental price. 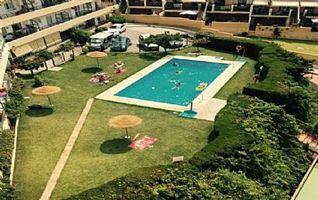 Access to the communal pool. 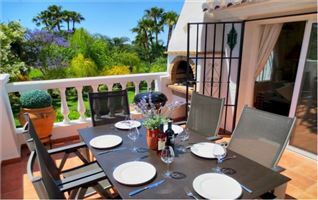 Private terrace with a table and 2 chairs. 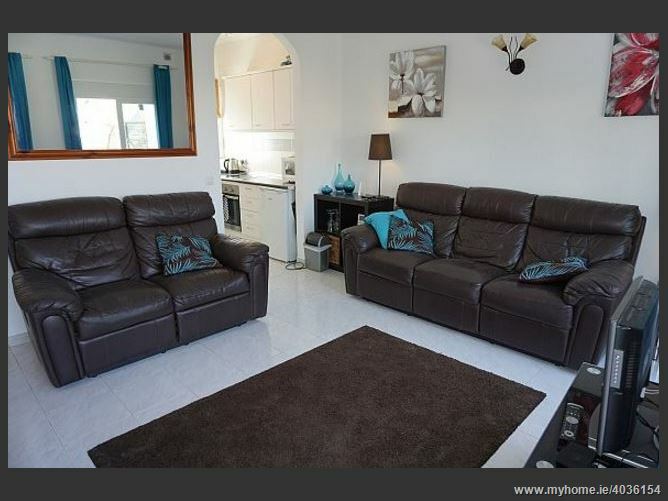 Two sofas, sideboard with flat screen TV, music system, small table and 2 chairs. 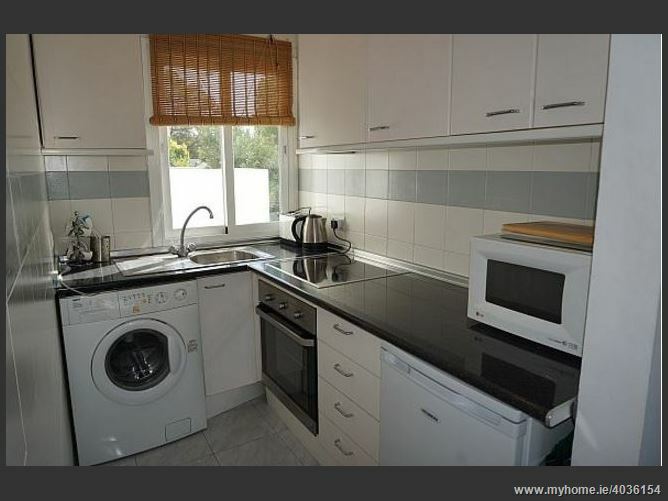 Well equipped kitchen with washing machine, fridge (freezer compartment), microwave, kettle, toaster. Double bed with 2 bedside tables, wall mounted bedside lights, full length wall hanging mirror, chest of drawers, built in wardrobe, ceiling fan and AC unit.